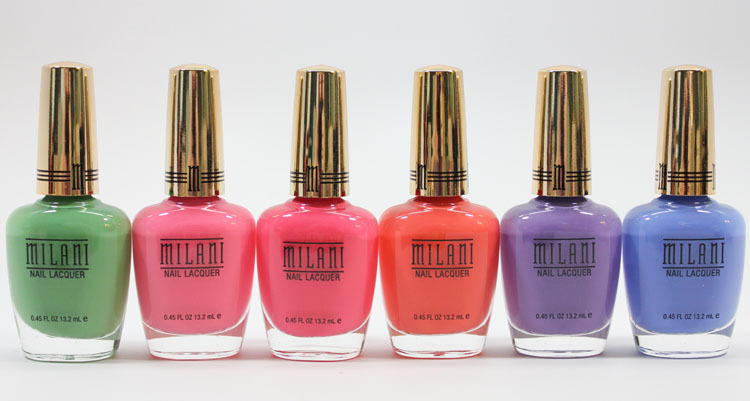 Milani Gold Label Nail Lacquer for spring 2014 is here and is very exciting! There are two “collections” within the spring 2014 line. One features six bright cream shades. The other includes six textured shimmers. All are new and coming out in February to a drugstore near you (hopefully). 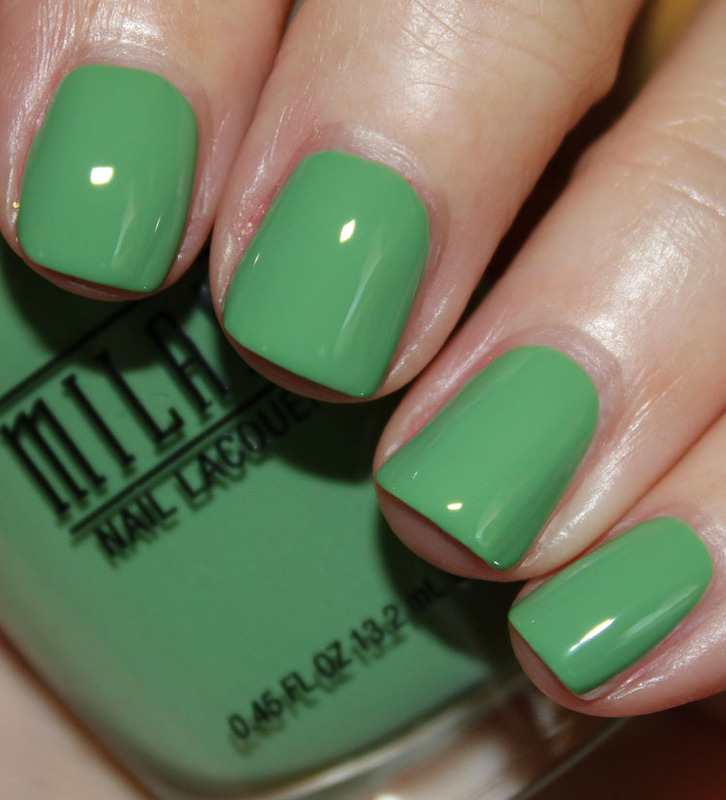 The bright shades have a nice creamy formula and were very opaque with just two coats. They are bright, fun, very spring-like and gorgeous! 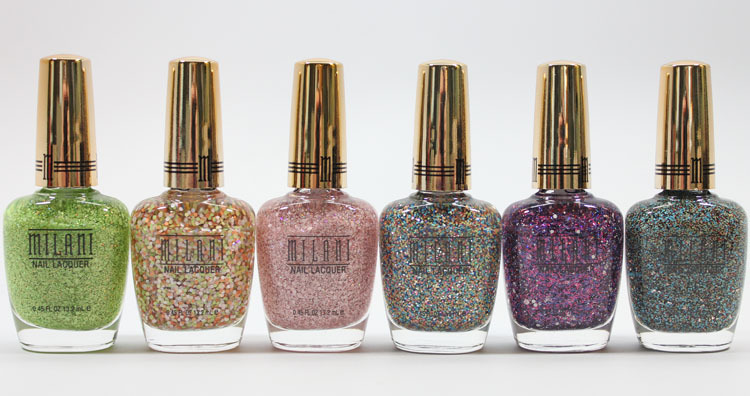 The textured shimmers are all glittery shades, with various shapes and sized glitter. Most aren’t full-coverage, so they look best layered over another shade, which I have shown you below. Popping Pink is a bright pink cream. This is two coats. 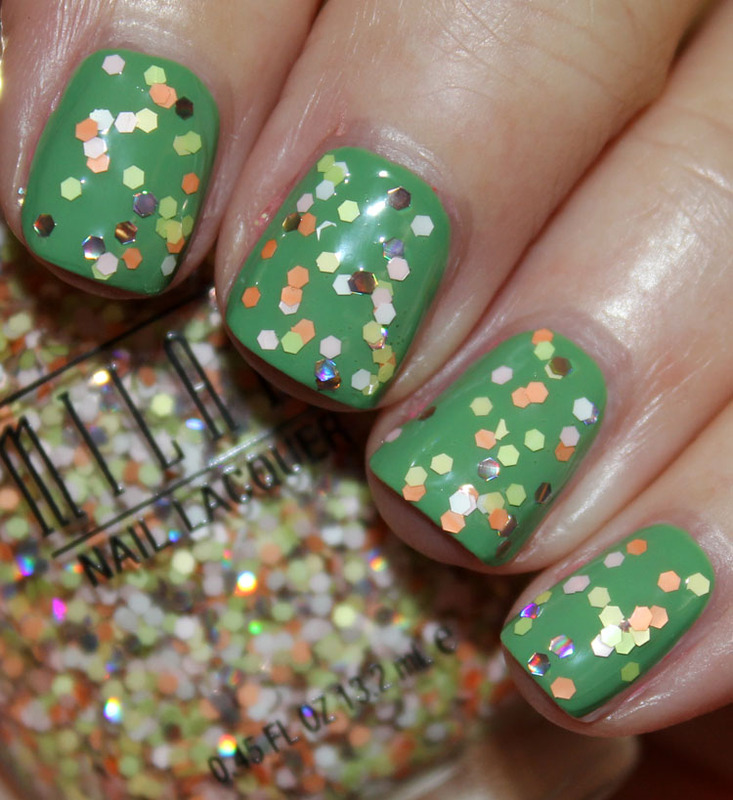 Sugar Coated has mostly green and holographic glitter pieces. This is two coats alone. Two coats of Sugar Coated over Popping Pink. I love a pink and green combo, it makes me SO READY for spring! Splendid Strawberry is a medium bright pink cream. This is two coats. 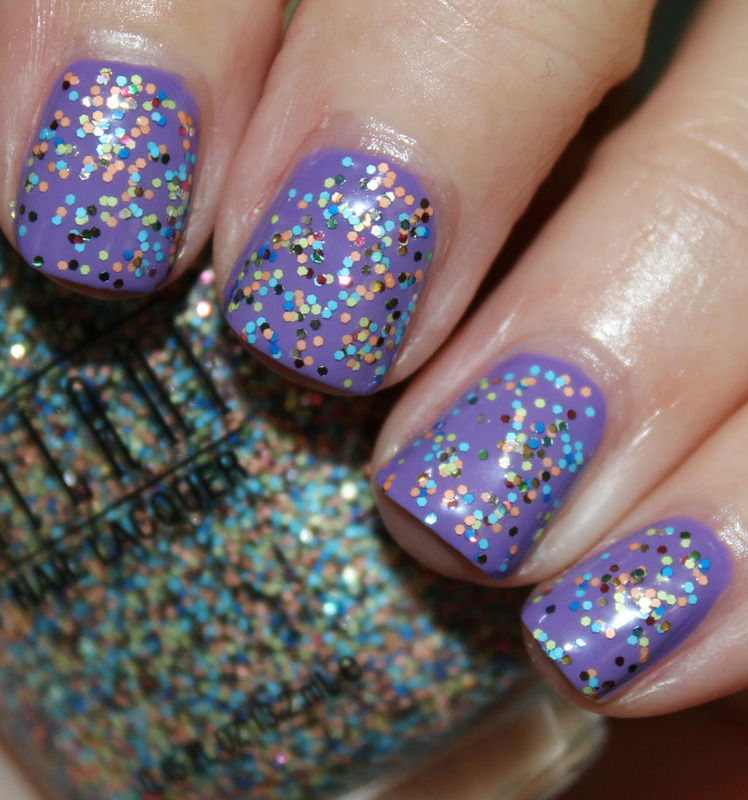 Sugar Cane has mostly purple and pink bar glitter with some small, medium and large white glitter. To be honest, I hated this one. I am not a fan of bar glitter to begin with because it just looks messy to me. But also the big chunks of white glitter didn’t go with it, and they just seemed awkward. This is two coats. Two coats of Sugar Cane over Splendid Strawberry. It doesn’t look any better layered in my opinion. Colorful Coral is a bright coral cream. This is two coats. 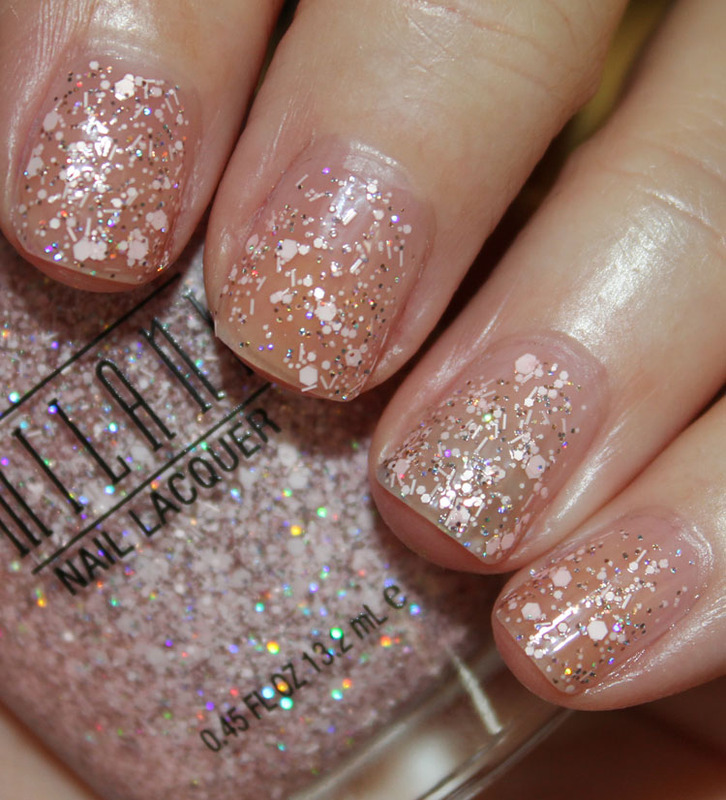 Sugar Burst has pale pink and holo glitter pieces. This is two coats. Showy Sea-Green is a bright grass green. This is two coats. 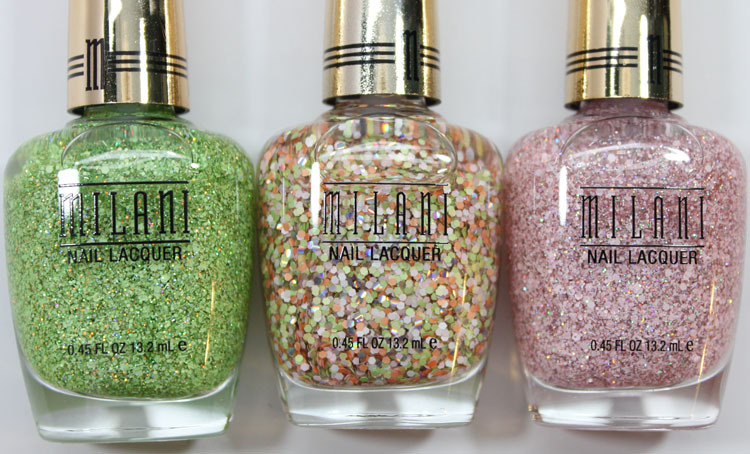 Sugar Rush has pale green, pale orange, white and gold glitter all in the same size and shape. I really love this one because the colors go great together! This is two coats. Two coats of Sugar Rush over Showy Sea-Green. Probably my favorite combo here. Power Periwinkle is a vivid periwinkle blue. This is two coats. 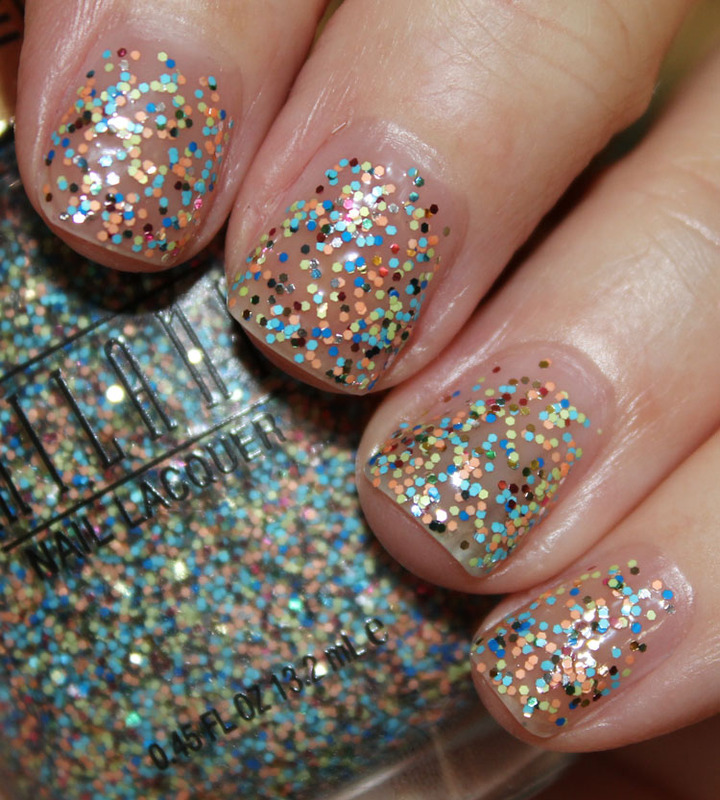 Sugar Rim is a mostly opaque glitter featuring lots of blue, black, red and yellow small glitter. Also in this one are pieces of gold glass shard-like glitter, but it’s rather sparse. This was three thin coats and it’s almost totally opaque. Love this one! Two coats of Sugar Rim over Power Periwinkle. Vivid Violet is a bright violet purple with very, very subtle shimmer. This was two coats. 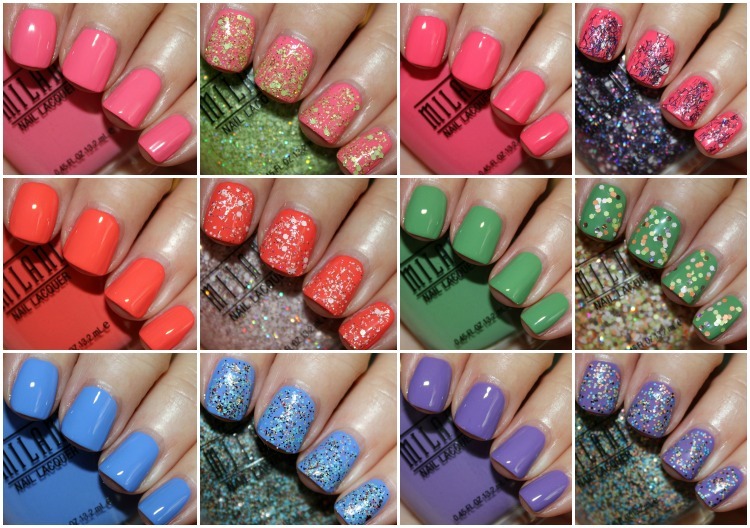 Sugar High features small glitter in light blue, medium blue, red, gold, yellow and peach. 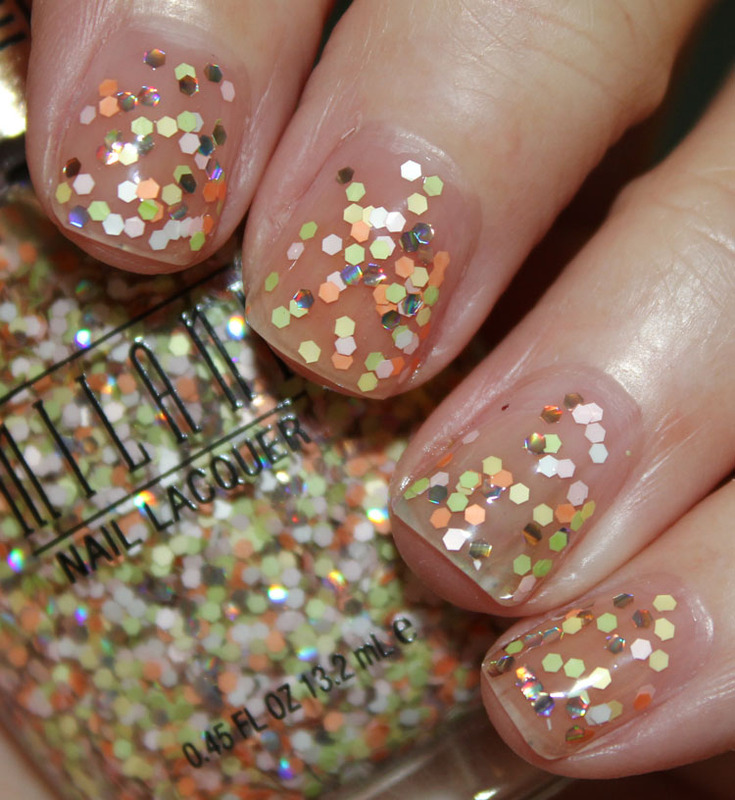 All the glitter pieces are the same size, which again, I love. This is two coats and one of my favorites here. Two coats of Sugar High over Vivid Violet. Love this combo! Overall: Well I really love the formula of the cream shades especially. 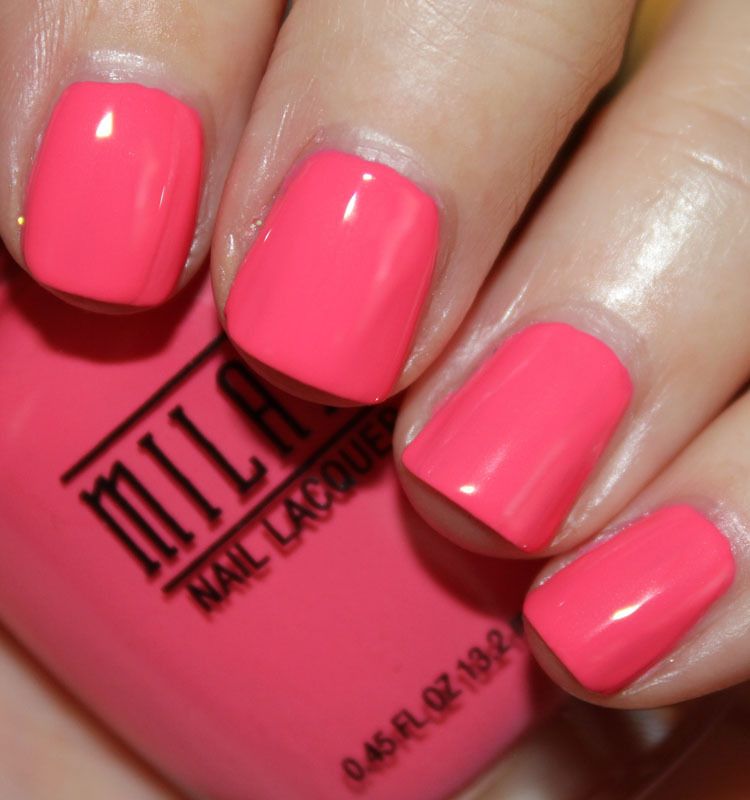 They are very bright and cover perfectly in two coats. The glitters are fun also, but some didn’t completely “wow” me. They can be a bit thick to work with so I suggest waiting in-between coats and maybe dabbing them on rather than brushing them on. My favorite, and I think the most unique ones of these, are Sugar Rush, Sugar Rim and Sugar High. Availability: Drugstores starting in February. See anything here you will be stalking your drugstore for?